Completely re-written by the new line up (Hans-Wes-Pete-Tom) in 2012-2013 and recorded mainly in Pete's Mushroomland studio in 2013-204 and again in ACE (vocals) , this brand new CD is expected to be released in post-summer 2014. Check the progress via this website ! 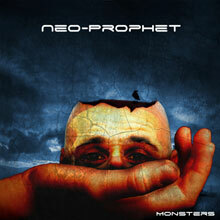 Written between 2006-2008 and recorded in 2008 in the famous Belgian ACE Studio (Ghiribizi, Mindgames) with equally famous keyboard player-producer Frank van Bogaert (Ohm, Fish on Friday) and the original line-up, this first full CD was released early 2009 on the own WAMP-label . The full CD immediately got a lot of attention and positive feedback in the worldwide specialized press, some songs appeared on samplers and lead to some interesting live gigs. 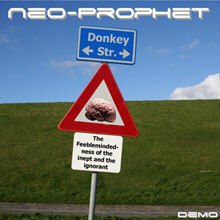 The typical Neo-sound became more distinct and while still having some Classic Rock roots the sound got typically labelled as Symfo or Neo-Prog. The growing length of some songs and a true 25 min. epic were just another demonstration of the prog-rock approach. Order here. Captured by Hans in 2006 in the own WAMP home-studio, these were the first songs written by Neo-Prophet as band in the rehearsal place. 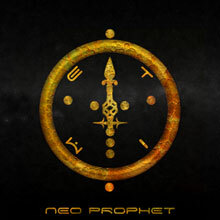 With next to Hans on bass and vocals , Frank Debruyne on guitar, Sjoerd Bruyneel on keys and Rudi Lins on Drums the essence of Neo-Prophet was well captured . These songs were inspired by some travelling , daily experiences and some sociopolitical topics and with all of them ranging in length between 5-7 minutes it was the already obvious that this would not be 'just another regular pop/rock-band'. The Classic Rock based with clear hints of Neo-Prog and Symfo was well received and some of these can still be heard during live gigs like Blame it on the Weatherman which always does well live. Still available on request.